On our exotic Norwegian cruises, you don’t need a magician to light up your voyage. 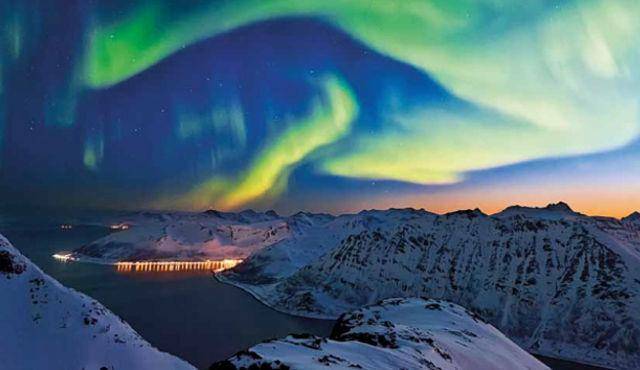 The magic is there just for the asking – the Northern Lights, Midnight Sun, jagged fjords, secret archipelagos, the world’s strongest tidal current – spectacular natural phenomena that you’ve only dreamt of. Experience an Arctic awakening and much more on Hurtigruten’s breathtaking voyages to the far reaches of the Arctic Circle. Pioneers and specialists in polar cruises, Hurtigruten’s voyages also treat you to walking tours, river cruises and activities such as reindeer-driving, dog-sledding and snowmobile safaris as part of the on-shore excursions. And just when you didn’t think it could get better, you get to attend a midnight choir and concert, visit a medieval cathedral, revel in a Viking celebration and, for good measure, down a few beers at the northern-most brewery in the world! Hurtigruten promises adventure, history, culture and thrills, on every single voyage – unforgettable, unbelievable and unadulterated.